Developed to address the needs of todays fast-paced end-user, the new Color imageCLASS MF9220Cdn laser multifunction printer allows small businesses and work groups to maximize productivity with convenient print, copy, fax and scan functionality in a fully networkable device. Ideal for multi-user environments, the MF9220Cdn combines advanced technologies found in many high-end commercial copiers including User ID Management? control, which allows network administrators to monitor and limit print output and an Auto-Duplex function to reduce paper costs and increase productivity. Additionally, for the first time from Canon imageCLASS, the MF9220Cdn features an LDAP address book, allowing documents to be sent instantly. The Superior Color Imaging Technology featured in the MF9220Cdn captures fine details with remarkable tone-on-tone clarity, helping images stay true to the original. Canon Pure Black Technology ensures the richest blacks by utilizing only the black toner instead of traditional methods of combining toner colors. 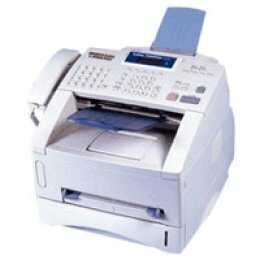 Featuring a 50-sheet Auto Document Feeder (ADF), 250-sheet cassette plus 100-sheet multipurpose tray, and an optional 500-sheet paper cassette pedestal and handling paper sizes up to legal, the MF9220Cdn delivers print speeds of up to 22 pages per minute in both color and black and white while capturing finer details with remarkable tone-on-tone clarity, auto gradation and Canons Pure Black technology. Further enhancing the utility of MF9220Cdn Series is an innovative 3.5-inch color panel with Easy-Scroll Wheel that provides effortless control over projects through a user-friendly menu and two USB ports to facilitate scanning documents directly to a USB drive.